At Sweeney Opticians in Belfast, we are very proud that our optical equipment boasts the latest groundbreaking examination techniques. 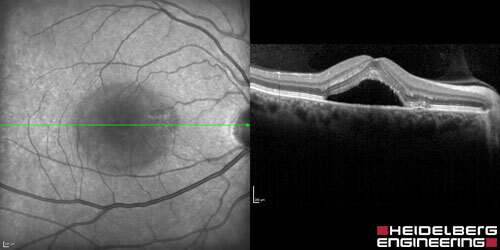 Our patients experience examinations using some of the only technology found anywhere in the country – ranging from a full digital eye examination, full colour retinal photographs and the latest Heidelberg Optical Coherence Tomography. 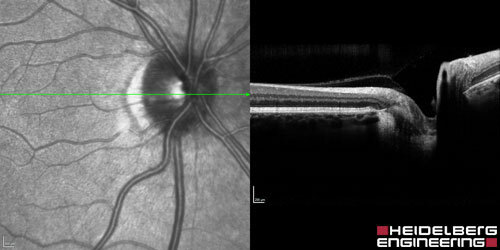 Optical Coherence Tomography (OCT) is an eye imaging technique that provides high resolution and cross-sectional images of the eye. It offers early diagnosis of any eye conditions allowing you to receive treatment before conditions worsen or to help you manage any diseases of the eye. Heidelberg Optical Coherence Tomography provides a unique 4D dynamic scan of your eyes. It helps our professionals to detect anomalies including Diabetes, Glaucoma and Macular Degeneration that standard optician's equipment cannot detect. An OCT scan is very quick to perform and it is completely painless and non-invasive. Results from your scan are available instantaneously at our clinic and our experts will discuss any conditions and treatment options. You can contact Sweeney Opticians on 028 9066 7030.